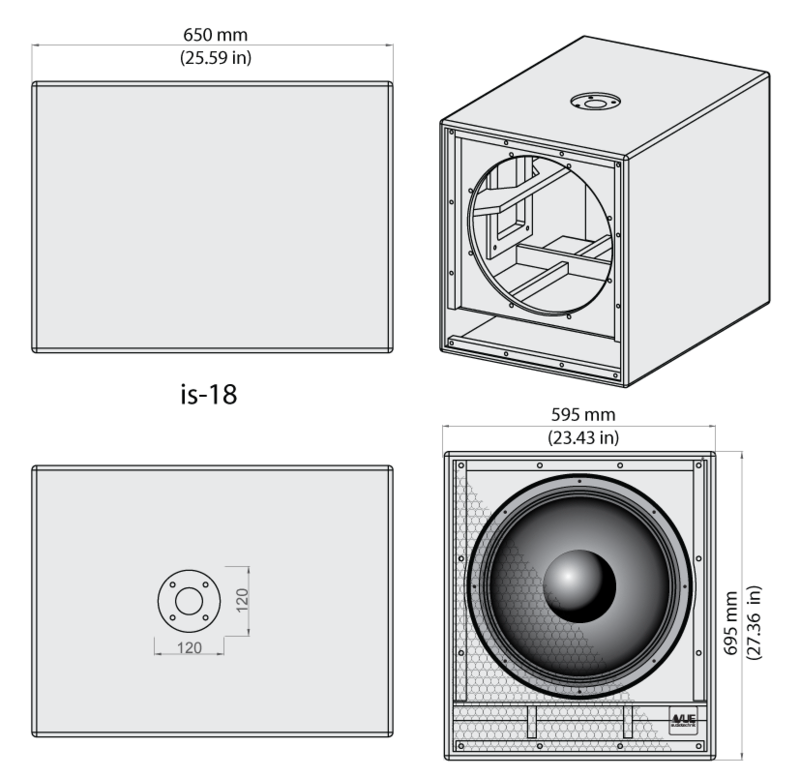 For systems requiring greater LF extension, the is-18 and is-18a vented subwoofers are the perfect companions for the i-Class full-range models. 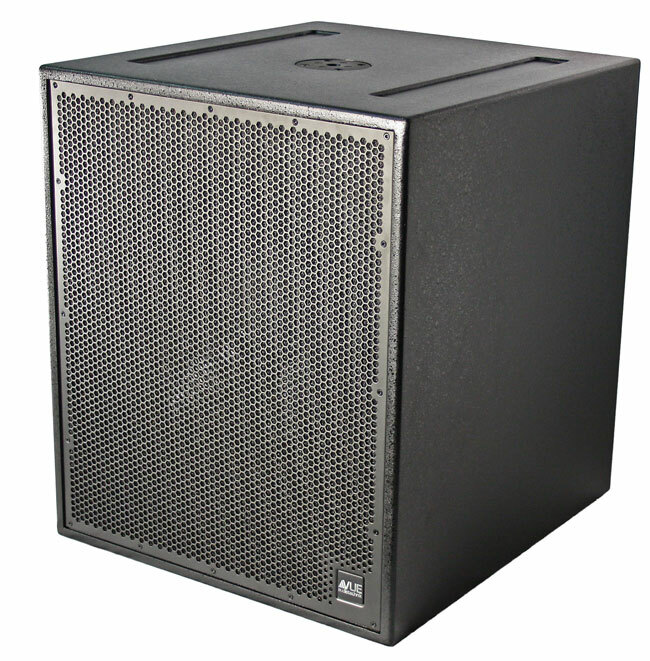 Both subwoofers combine precision, low-pass crossovers with a professional-grade driver that incorporates a large, 4-inch voice coil for increased power handling and decreased power compression. Optimally tuned ports work in concert with the direct radiating driver to achieve a perfect balance of impact and definition. 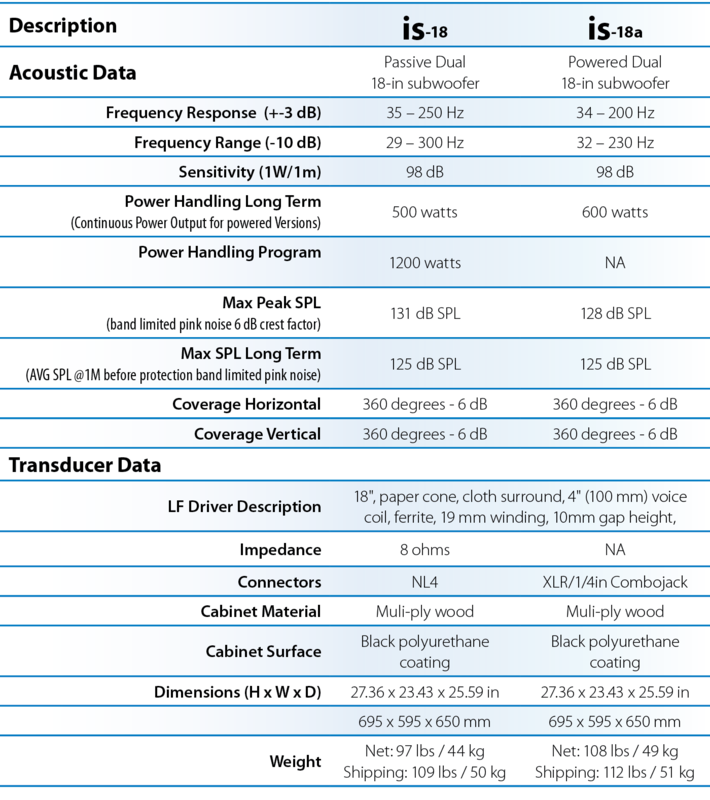 The is-18a’s onboard class A/B amplification produces 600 watts continuous power output. A variable, 18 dB per Octave high-pass output allows easy satellite integration, while a phase switch ensures perfect LF alignment and staging. Large heat-sinks and efficient amplifier design eliminate the need for noisy cooling fans.